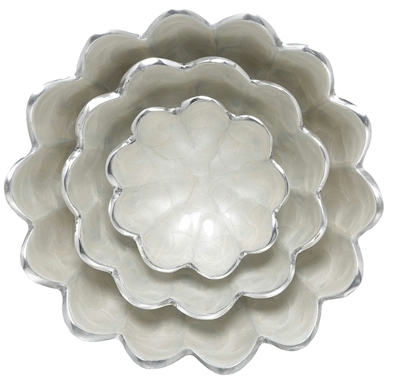 Daily Cheapskate: Artisan d'Orient 3-Bowl Set for $10.42. 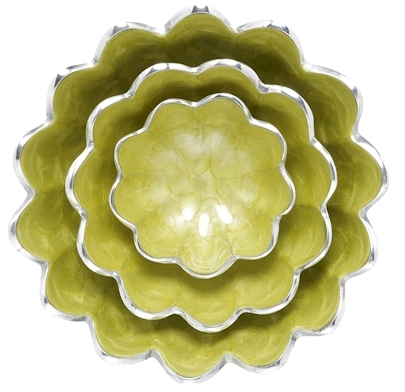 Amazon has got a terrific price on this Artisan d'Orient 3-Bowl Set in the lime and ivory colors, just $10.42 with free Prime/SuperSaver shipping. The food-safe bowls in this set are respectively 8", 6" and 4". Because of the low pricing, limit 8 sets per color per account. Size of bowls - Large: 8" x 8" x 2.5", Medium: 6" x 6" x 1.5", Small: 4" x 4" x 1.25"